Feature: This phone has 5 MP of camera with the auto focus and xenon flash light. The users can also share data from one phone to another. 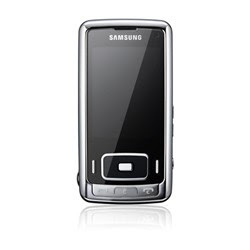 Other attractive features of Samsung G800 are the appealing color, expandable memory, Bluetooth and Triband GSM. Special Feature: 5 mega pixels camera, sliding system.